The galaxy is locked in the grips of alien tyranny – show them the meaning of democracy. Do you have the guts to fight for freedom? Join the Helldivers as they brave the darkest corners of space in the fight for liberty. Wielding the awesome weaponry of the Super-Earth fleet, blast your way through bug-infested backwaters and deliver the dream of democracy to those who need it most. Each hellish environment teaches us something new: collect research data from the field to build even bigger and better weapons. 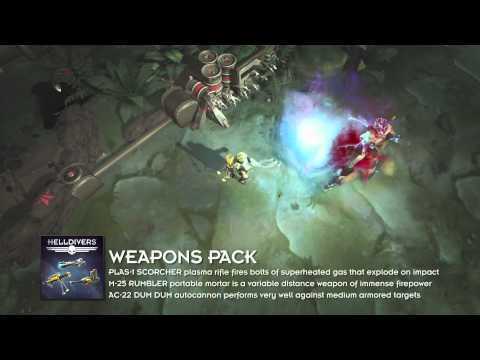 Helldivers: Super-Earth Ultimate Edition is packed with powerful new tech and extra firepower. Airdrop devastating turrets, armoured tanks and a sweet bevy of explosives into the melee and blast your way to a new era of civilization. Strike a blow for liberty with up to three online friends when you join PlayStation Plus. 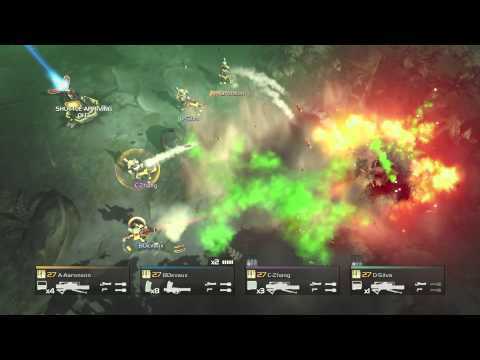 Buy Helldivers: Super-Earth Ultimate Edition on PS4.